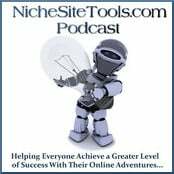 In Episode 2 of the Niche Site Tools Podcast, you will get all the information you need to set yourself up for success with your next niche site project. I go into full detail on how to go from the initial brainstorming of ideas, to determining the proper keyword phrases to target and finally, determining whether or not you stand a good chance of being able to compete. 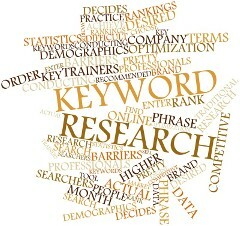 Doing the proper keyword research upfront is essential for any niche site project. If you choose a topic no one is searching for, you can have the best content available, but none of that matters if no one is interested in what you have to say. On the flip side, if you choose a topic that has a high search volume, but is too competitive, you’ll be lost in a sea of higher ranking sites. In either scenario, you are doing yourself a huge disservice, because you could be doing all the right things and putting your heart and soul into a project, only to be hugely disappointed after months of effort. With a little keyword research and competition analysis upfront, you can set yourself up for the best chance of success down the road. 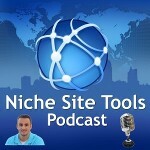 Even if you have experience with keyword research and competition analysis, I think you will benefit from checking out this episode. I have included a few custom backlinking tips that you won’t normally hear in most posts or Podcasts on the subject. Market Samurai (Affiliate Link) – Check out their 12 day free trial. If you like the product, be sure to take advantage of the 35% off discount that you will be notified of via email during the trial period. That is exactly what I did when I purchased the software myself. Normal price for Market Samurai is $149, but with the 35% discount, you will get Market Samurai for the one time fee of $97. That includes lifetime free upgrades and a full 30 day money back guarantee. 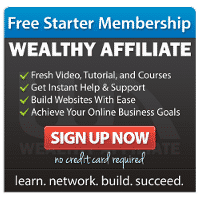 Long Tail Pro (Affiliate Link) – Long Tail Pro is another great tool and it is actually a bit faster than Market Samurai, however in order to get all of the features necessary to do a full competition analysis, you will want/need to purchase the Platinum add-on, which is an additional $17/month. 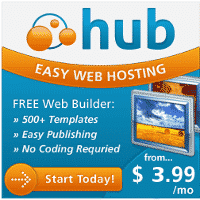 Long Tail Pro standard version is $97 and also includes lifetime upgrades and a full money back guarantee. Head on over and like our Facebook page and follow us on Twitter to get inspirational quotes and links to other great posts that I come across in my online travels. Subscribe via Email to instantly receive my free eGuide entitled Top 10 Killer Keyword Brainstorming Tips.